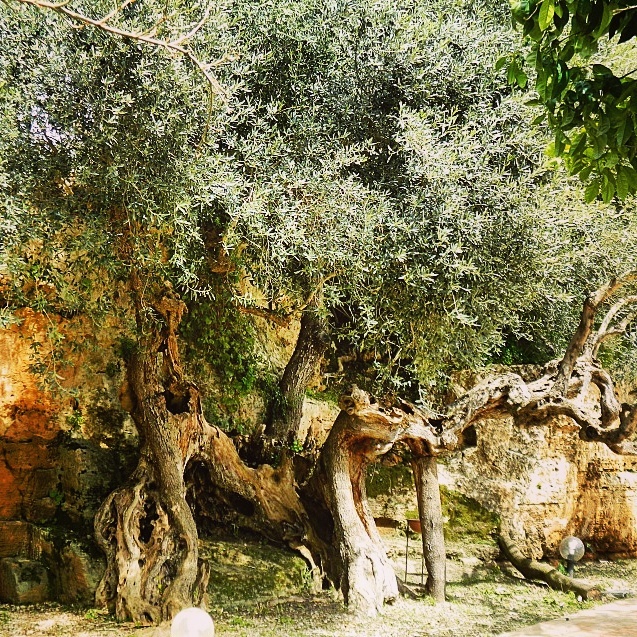 How old do you think this olive tree is? I don’t remember what I was told when I took this photo, but when I’m back in Castelvetrano at this orchard in a couple of weeks, I’ll find out and report back! In the meantime, what’s your guess? If you are close, I’ll send you a gift from Experience Sicily once I know the correct answer! Thanks for your guess David! Once I know, I’ll let you know. We’ll be at the Centonze orchard in Castelvetrano on September 26. I remember this tree and would have to guess three hundred years. Beautiful groves of olives in a spectacular resort setting. And the olive oil received as a gift is still being enjoyed. Well, I’ll let you know when I know the answer Brian! I was going to say hundreds of years, too, like Brian. I’m going with 450 years! It looks so vital and fruitful. Once I know the answer, I’ll report back! I am going to say 2,000 years old. Great guess Tucker! I’ll report back in a couple of weeks! Hi Everyone! This tree is 1200 years old! A reader on Instragram guessed correctly. Thank you all for participating! That is amazing! I guessed only about a third of that. Cool tree.